With recycling rates reaching a new high, industry initiatives commended by leaders from business and Government and patent applications showcasing new heights of innovation, PVC proved itself as no longer the “black sheep” of the wider plastics industry, but a trailblazer. Leanne Taylor reports from an action-packed three days in Brighton. “PVC has always been ahead of the game” - these were the opening sentiments from Stuart Patrick of the IOM3 who pointed to the sheer amount of progress and innovation generated by a mature commodity polymer. Indeed, PVC’s progress was mapped out by Dr. Brigitte Dero, General Manager of VinylPlus, who focused on how a united PVC industry, involving the entire value chain, is showing the way for the wider plastics industry. Dero explained how the achievements of the VinylPlus Voluntary Commitment to sustainable development over the past two decades had helped to turn PVC from “the black sheep in the plastic family” to a pioneer and material of choice. “VinylPlus is now recognised by external stakeholders and is considered by many as a frontrunner for the circular economy. We reached this position by achieving significant and concrete results and have consistently demonstrated our commitment through action,” she told delegates. Dero chose Brighton as the place to reveal to the industry that PVC recycling has reached “a new high”, with 568,696 tonnes recycled in 2016 through VinylPlus. A cumulative total of more than 3.5 million tonnes of PVC has been recycled since 2000 thanks to the efforts of VinylPlus, she explained, with the largest volumes from window profiles, followed by cables and flexible applications, pipes and fittings. The target is to recycle 800,000 tonnes per year by 2020. “Having recycled nearly 600,000 tonnes of PVC last year, we have demonstrated through the VinylPlus Voluntary Commitment that we can divert from landfill significant volumes of PVC waste, thereby contributing to resource efficiency,” Dero continued. Other recent achievements highlighted at the conference include the development of an Additives Sustainability Framework (ASF) – a new, science-based system for assessing the sustainable use of additives in PVC products. The first ASF is almost complete for window profiles. Recycling aside, Dero explained how progress was also charted through the recognition of VinylPlus initiatives at the World Economic Forum (WEF) in Davos earlier this year, where the scheme was “highly commended” by business leaders for its notable contribution to the circular economy. She concluded by outlining yet more partner collaborations to come, both with EUROCITIES, as well as a major global sports products manufacturer keen to use PVC in its products. “We have become more united. We have received more recognition, from both the political and business side. We must continue to partner other global companies so we can continue this progress,” Dero explained. The outcomes of these collaborations, she hinted, would be unveiled at PVC 2020. Not afraid to balance the argument, PVC 2017 invited a “rather different” approach on the future for PVC, with a keynote paper delivered by Professor Michael Braungart of EPEA. Within his address Braungart challenged the use of PVC for products where the material cannot be managed, including wall coverings and toys, however, said he fully supported using it for “service or technically responsible” products. “For example, I would support you to use PVC for all pipes,” he told delegates. Taking to the stage later in the day, Chris Tane, CEO, Inovyn, attributed the European demand for PVC remaining well below peak levels to three elements. Slow demand from building and construction markets following the 2008 crash; the increase in use of recycled PVC; and the loss of competitiveness in the industry in terms of PVC producers since the advent of shale gas in the US were all contributing factors, he believes. “How do we overcome these issues? “I believe innovation is key – the solution to all of the above,” Tane told delegates. Tane highlighted the usefulness of PVC products, as well as its processability and adaptability to different manufacturing processes, versatility and durability as key reasons for new product development. 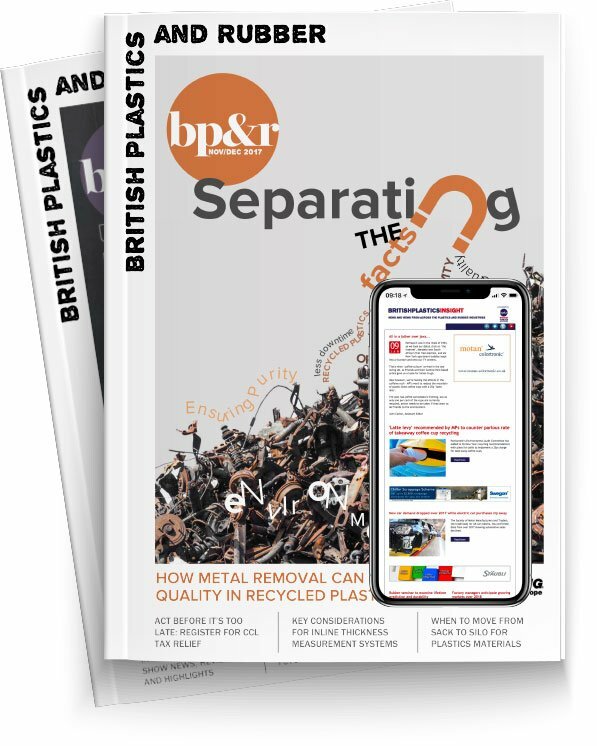 The association has seen a recent expansion of its membership which currently brings together eight major European plasticiser producers representing over 80 per cent of the market. “This is more than just a cosmetic change. It is about adapting to the challenges ahead and shifting towards a more inclusive and comprehensive approach. Based on our extensive experience collected over more than 35 years, European Plasticisers aims to project itself towards the full recognition of plasticisers’ contribution to our everyday wellbeing,” explained Jean-Luc Wietor, European Plasticisers’ General Manager. The PVC conference was also used by the ECVM (European Council for Vinyl Manufacturers) to announce news of a new organisation established to support the PVC cables supply chain. ‘PVC4cables’ intends to act as a driver for environmentally responsible innovations in the PVC cables sector and as a focal point for dialogue and communications with all stakeholders: compounds and cable producers, regulators, specifiers, installers, electricians, media and the public. “PVC cables are one of the key application markets in Europe and one of the main sources of recycled PVC,” explained Zdenek Hruska, PVC4cables Project Manager.